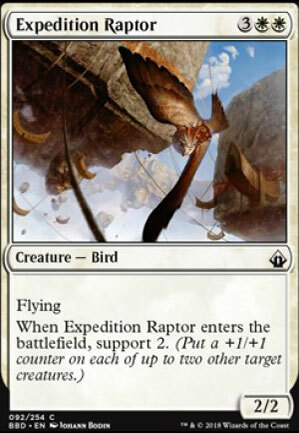 When Expedition Raptor enters the battlefield, support 2. (Put a +1/+1 counter on each of up to two other target creatures. ).